We at “The Domain for Truth” would like to first thank Dr. Michael Vlach for taking the time from his very busy schedule to do this interview with us. We are grateful for his contribution to God’s ministry. 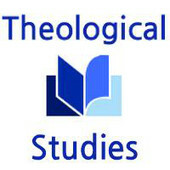 Dr. Vlach also has a website called, Theological Studies. Please check it out. There is a myriad of great information available! “Michael J. Vlach, Ph.D. is Professor of Theology at The Master’s Seminary in Sun Valley, California where he has been teaching full time since 2006. 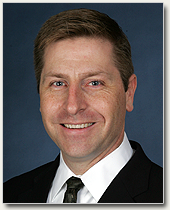 Michael is also a member of the Evangelical Theological Society and has taught various courses in Theology for Liberty University in Lynchburg, Virginia” (www.tms.edu). Without further ado, let us jump right into the interview with Dr. Vlach. 1) What is the history of dispensationalism? Like all Protestant or evangelical systems, dispensationalism as a system is a post-Reformation development, with its origin in the 1830s. So it is younger than its main counterpart, covenant theology, which developed in the latter-part of the sixteenth century. There are several major specific beliefs about dispensationalism that are found in the earliest years of church history. For example, belief in premillennialism, a future salvation of Israel, a future seventieth-week of Daniel, and a personal Antichrist are examples of dispensational beliefs held by the church of the Patristic Era. I think there have been three eras of development within dispensationalism. First, the era of classical dispensationalism can be dated from the early nineteenth century through around 1950. Second, the 1950s through the mid-1980s can be identified as the era of revised dispensationalism. Third, since the mid-1980s there has been a rise in what is referred to as progressive dispensationalism. Space does not allow a detailed discussion of these developments but they represent eras of development in understandings concerning the relationship between Israel and the church and the unfolding of the biblical covenants. 2)What are the essential beliefs of dispensationalism? The first essential belief involves hermeneutics. Dispensationalists believe that later revelation (NT) builds upon the literal and contextual meaning of earlier revelation (OT). And whatever promises of the OT that have not been fulfilled yet, will be fulfilled in connection with Jesus’ second coming. This means all the unconditional and eternal promises of the OT will be fulfilled—including the national and physical elements along with the spiritual aspects. Thus, dispensationalists do not believe that the NT transcends or reinterprets the OT promises and covenants. Second, dispensationalists believe that God’s future plans after Jesus’ second coming involve literal nations. The nation Israel will be both saved and restored with a role of service and leadership to the other nations of the earth. Since Jesus is coming to rule the “nations” (see Ps 2; Rev 2:26-27), He will use the nation Israel as an instrument for blessing (see Isa 2:2-4). Dispensationalists also reject all forms of replacement theology or supersessionism. Israel is not transcended or redefined. The church is not the new Israel. Dispensationalists believe the people of God is expanded to include Gentiles alongside Israel (Isa 19:24-25) but Israel remains Israel. Gentiles can be saved as Gentiles without becoming Israel. Third, dispensationalists hold that Jesus is the ultimate Israelite, but this identity with Israel means that Jesus is able to restore the nation Israel (see Isa 49:3-6), not do away with national Israel’s significance. Jesus is the corporate head of Israel who restores Israel. He does not make the nation Israel irrelevant. Fourth, dispensationalists hold that the people of God evidences both unity and diversity. The unity of the people of God means that all believers are saved the same way—by grace alone, through faith alone, based on Christ and His atonement alone. But there is also diversity in that ethnic, national, and functional distinctions can still exist. Ephesians 2 and 3 indicate that Jews and Gentiles work together in the one new man, but Gentiles are not incorporated into Israel. Just as men and women can be equal in essence and have the same salvation, yet still differ in gender and function, so too believers can be unified in Christ but still maintain some distinctions. Even in the Eternal State there are “nations” (note the plural) indicating diversity. There are other issues involved with dispensationalism but I think these cover the big issues. 3) What are the common caricatures/myths you often hear concerning dispensationalism? The biggest myth is that dispensationalism teaches two ways of salvation—by works in the OT and by grace in the NT. That is false. Dispensationalism teaches that salvation has always been by grace alone through faith alone. Another myth is that dispensationalism necessarily leads to being an Arminian. But there is nothing about dispensationalism’s key beliefs that must lead one to be an Arminian. There are many calvinistic dispensationalists which should put this issue to rest. There is also another myth that dispensationalism is antinomian and teaches that Christians today are not under any law and thus can do what they please. Dispensationalists affirm that Christians are under the Law of Christ which is composed of the commands and principles of the NT, which include some principles picked up from the Mosaic Law. Still another myth is that dispensationalism is about predicting the time of the second coming of Jesus. But the vast majority of dispensationalists are futurists and do not believe we can know the time of the rapture and the events of the coming Tribulation Period. 4) In light of the apologetics class you teach at The Master’s Seminary, can one hold to presuppositional apologetics and be a dispensationalist? Absolutely! Not only can one do this, but we actually do so at The Master’s Seminary! We teach dispensational beliefs and promote presuppositional apologetics. Like other presuppositionalists, we believe the starting point for the apologetic encounter with the unbeliever is an unashamed and upfront reliance on the Triune God and His revelation, the Bible. We believe that man is totally depraved and that his main problem is spiritual, not just intellectual, and that only the Holy Spirit can open his eyes. We argue that the truth of Christianity is not just “probable” but “certain.” We promote the Transcendental Argument for God’s existence which affirms that we know Christianity to be true because of the impossibility of the contrary. We affirm that only Christianity can explain reality and our experiences, and without the Christian God there would literally be nothing. One cannot even think, or write, or debate without the existence of God. Thus, God is the precondition of all reality. Even the reasoning of the unbeliever exists because God exists. We also hold that all creation is revelatory from God and that there is no neutral ground by which we encounter the unbeliever. All ground is God’s ground and should not be surrendered or deemed “neutral.” These are presuppositional affirmations that exist alongside dispensational beliefs about hermeneutics and the role of national Israel in the future. 5) What are your thoughts concerning proponents who say that those who hold onto presuppositional apologetics, must embrace covenant theology? I say they are in error for making such a claim and the burden of proof is on them to show why this would be the case. Covenant theology is primarily about three covenants—works, grace, and redemption. It is also about using the NT as the starting point for interpreting/reinterpreting the OT. While those issues are important to debate, I don’t see why it must be the case that one must affirm those matters to be a presuppositionalist. When I examine the essence of dispensationalism and the essence of presuppositional apologetics I see no reason why a person cannot affirm both approaches. One can hold to a consistent literal hermeneutic and a future restoration of Israel as dispensationalists do, and believe that the apologetic encounter should start from the presupposition that reality can only be explained by starting with the Triune God and His Word. The fact that there have been multiple teachers of presuppositionalism at dispensational schools should indicate that one can be both a dispensationalist and a presuppositionalist. As long as one is starting with a right anthropology (man is depraved), epistemology (God is source of all knowledge), and salvation (only God can save), then there is no problem with a dispensationalist being a presuppositionalist. Of course, not all dispensationalists are presuppositionalists, but many are. 6) What would you say to a young person who is zealous for apologetics? Keep studying the Bible because that is your source for understanding God and His world. Remember that being clever is not the most important thing; it is the faithful presentation of God’s truth that matters most. Also, don’t be intimidated into thinking you have to become an expert in science and history to be effective. A godly life and knowledge of the Bible are the foundations for sharing the faith. I also recommend reading the works of Cornelius Van Til, Greg Bahnsen, and John Frame in the area of apologetics. They offer great information in regard to sharing the Christian worldview. 7) When did you accept the teachings of dispensationalism? If so, why? I grew up Roman Catholic but was saved into an evangelical church when I was fourteen years old. The churches I went to for the next eight years were ultra-Charismatic, Arminian, and not strong doctrinally. In my early twenties I started attending a church that was strong doctrinally that taught dispensational beliefs. So it was in the late 1980s that I became aware of dispensationalism. In the early 90s I decided research the issue further and compare the beliefs of dispensationalism with covenant theology to make sure I was believing the right things. So many people I had read and admired in regard to salvation issues were covenant theologians so I wanted to hear them out. I had already changed theological traditions before so maybe this would happen again. But one book that was very instrumental in my thinking was Continuity and Discontinuity: Perspectives on the Relationship Between the Old and New Testaments. This book, edited by John Feinberg, matched up highly-credentialed dispensational/discontinuity theologians and covenant theologians on issues such as theological systems, hermeneutics, law, kingdom, and people of God. So I was able to compare how proponents of each system addressed these key issues side-by-side. The comparison was eye-opening. And to be frank, I thought the dispensationalists were far more persuasive. After reading that book I became a “convinced dispensationalist.” During this time I found the writings of John Feinberg and Robert Saucy to be compelling and convincing. I was also heavily influenced by the book, The Greatness of the Kingdom by Alva J. McClain, which to date is still the finest book on the kingdom of God in my opinion. McClain was a dispensationalist. I attended The Master’s seminary in the mid 1990s and was impressed by the teachings of the faculty who were dispensational in their views. I was also taught presuppositional apologetics at TMS. As I continue to study the Bible I find myself making adjustments and minor changes here and there, yet my beliefs on the big issues are consistent with the dispensational tradition. As I say this, my goal is to be biblical and not just an adherent of a system. I want to hold views because they are biblical not just because a system says so. But I am grateful to the teachings of many in the dispensational tradition who have helped me understand the big picture of the Bible’s storyline. In sum, I am a dispensationalist because I think dispensationalism does the best job of connecting the dots and explaining the Bible’s storyline from Genesis 1 through Revelation 22. It also helps me share a biblical worldview with unbelievers. For those who are reading this post, we hope that this interview as well as the other interviews done in the past that are related to this topic has been helpful.